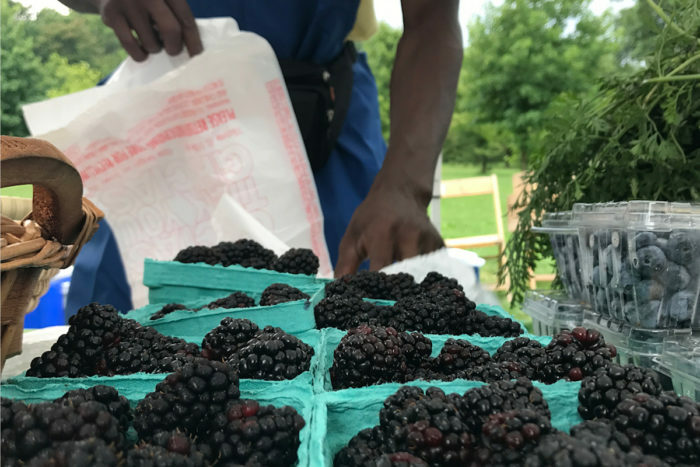 Philadelphia's Common Market is expanding to Atlanta, Houston, and beyond, connecting more farmers to eaters and scaling a model that has long remained local. Inside, however, the founders are talking about connecting farmers and consumers in far-flung places, including Atlanta (where they’ve been operating for almost two years), Houston (where they’ll open this spring), and Chicago and South Florida (which are next on the agenda). “We have aspirations for expanding to most of the major metropolitan areas in the United States,” says Haile Johnston, chief development officer, who co-founded this mid-Atlantic food hub with Tatiana Garcia-Granados and Robert Pierson. Common Market made its first delivery in June of 2008, when enthusiasm was taking off for the “food hub” model as a solution to rebuilding regional food economies that had been degraded by the industrialization of agriculture. 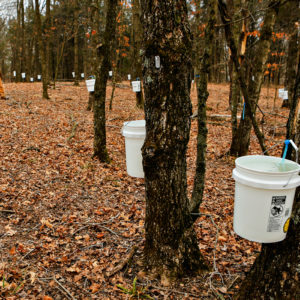 Advocates began to preach the possibilities of aggregation and distribution businesses that could close the gap between those growing good food and those needing it. A decade later, evidence for the success of the model is more positive than many realize. Food hubs have been surprisingly successful at overcoming considerable financial challenges to become viable businesses that support small and mid-size sustainable growers and get healthy fresh, food into varied environments, from Whole Foods to college dining halls to hospitals in underserved neighborhoods. 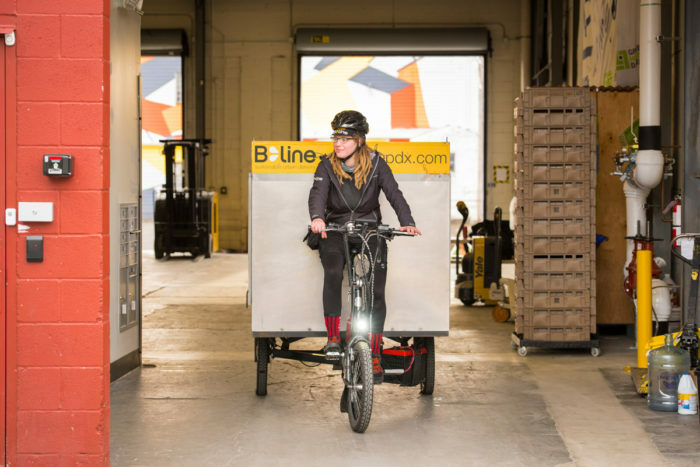 As Common Market prepares to celebrate the 10th anniversary of its first delivery and looks toward major expansions, it serves as a case study for what’s possible. But although the Common Market has shown that its model of local food hubs writ large is scalable, does it make sense for outside actors to establish regional food systems? And what does that mean for food hubs that grow out of their own communities from the ground up? Talk to anyone involved in food hubs and the story is basically the same. “About a decade ago, we started thinking, ‘Okay, farmers’ markets are great, but they’re tiny. How do you get [local] food to grocery stores, schools, university cafeterias, and hospitals—the places where most people eat?’” said Jeff Farbman, a senior program associate at the Wallace Center, where the National Good Food Network (NGFN) supports and promotes the work of food hubs. “One thing that emerged was … having an entity, what you might call a ‘benevolent middle man,’ who is both scale-appropriate for small and mid-size growers and scale-appropriate for large-scale buyers,” Farbman said. Many—like Veritable Vegetable in San Francisco and Organically Grown Company in Oregon—had been operating for decades as distributors before the term “food hub” existed, but this new era kicked off a major growth spurt. The 2015 National Food Hub Survey conducted by NGFN and the Michigan State University’s Center for Regional Food Systems found that 82 percent of the hubs surveyed had started their operations within the past 10 years. “There was a moment where it felt like everyone was starting a food hub,” said Kate Danaher, a senior director at RSF Social Finance, an impact investment company based in San Francisco that has helped finance eight food hubs, including Common Market, out of its Food System Transformation Fund. Danaher says the challenges to making the business work are vast. The margins are incredibly slim, and the business needs to get to a certain scale in order to be viable. That scale can be impossible to reach without capital, which is hard to secure when the company’s collateral is perishable food like lettuce and tomatoes. However, stats show Common Market is far from being alone in figuring out how to succeed. The 2015 survey also found that three-quarters of the hubs surveyed were breaking even or better, which demonstrated a significant improvement over stats from 2013. Interestingly, a USDA report released in November 2017 that provided lessons from six failed food hubs painted an even brighter picture. It showed there are currently approximately 360 active food hubs in the U.S.—compared to fewer than 50 in 2000—and that the five-year survival rate for hubs since 2005 is 88 percent, which is significantly higher than the survival rate for all types of new businesses, at 53 percent. Food hubs also weathered the economic recession much better than other small businesses. And Barham says new evidence shows their importance in local food systems is on the rise. Recent research from the USDA Census of Agriculture shows that while farmers selling their food locally is still on the rise, direct-to-consumer channels like farmers’ markets and CSAs may be hitting a plateau after years of growth, while sales to intermediaries is on the upswing. Outside the Common Market’s warehouse on the north side of Philadelphia, fresh food is hard to find. A search leads to a dilapidated Dunkin’ Donuts, a pizza joint, and a bodega advertising ice-cold beer, candies, and soda. Inside the brick building, workers are bundled up to work inside a series of refrigerated rooms set at different temperatures to store different foods. They unpack boxes of giant parsnips, end-of-season apples, Brussels sprouts, and pure maple syrup, and sort the foods into packages for customers. Later, a truck arrives at the loading dock just outside the cold storage rooms, ready to be loaded for delivery. Johnston and Garcia-Granados observed the disconnect Farbman described about four miles away in their own Philadelphia neighborhood, Strawberry Mansion, where poverty and diet-related disease rates were high and fresh food was hard to find. 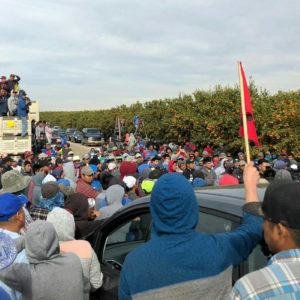 Pierson, who had been building farmers’ markets for decades, introduced them to the fact that farmers nearby were producing healthy food and struggling to get it to market, and they saw the potential for a bridge. Fast forward to 2018, and they’re buying food from nearly 50 producers (representing nearly 200 farmers, as some are co-ops) in the Mid-Atlantic region, which includes Philadelphia, Baltimore, Washington, D.C, and New York City (all within 150 miles of the Philly headquarters), as well as 40 in Georgia, out of a separate home base in Atlanta. 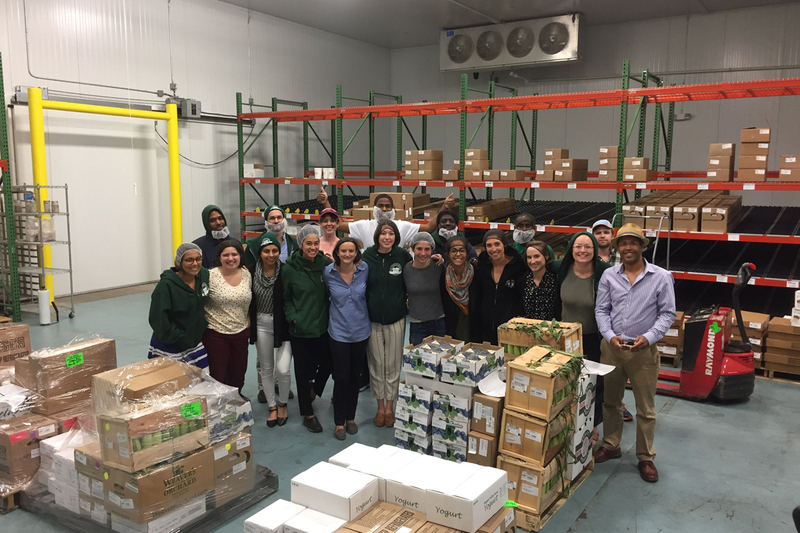 In 2017, their team in the Mid-Atlantic distributed just over 2.2 million pounds of food to customers like Temple Hospital and 10 public schools in Strawberry Mansion. In Atlanta, the team distributed close to 400,000 pounds of food to places like Georgia Tech. Overall sales for the year were just under $5 million. “We recognized from the beginning that if this model was going to work, it needed to be at an appropriate degree of scale and that scale was going to come through partnerships with places that make larger orders of food,” Johnston said. While they worked directly with smaller institutions at the start, they now focus significantly on partnering with national companies like Aramark and Sodexo that manage the food service at large hospitals and universities. While the approach requires plugging into the broken system they set out to change, they credit these partnerships as a major contributor to their success. Another key to their success: capital. 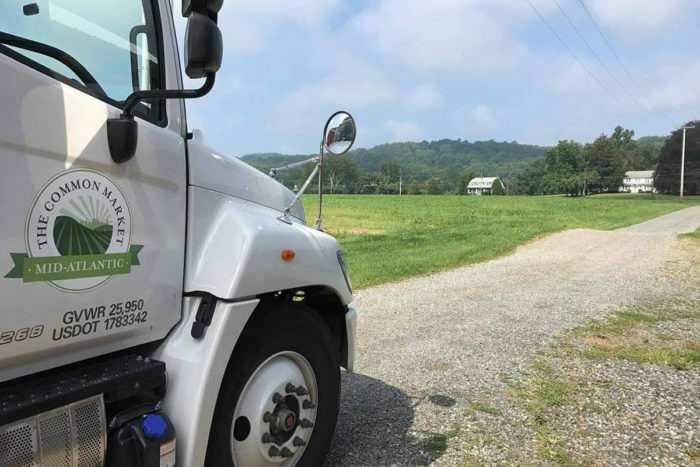 While many food hubs rent space and equipment, Common Market used loans from RSF to finance purchasing assets like their warehouses in Philadelphia and Atlanta and a fleet of nine refrigerated trucks. RSF also gave them a revolving line of credit, which enabled them to have enough cash flow to pay farmers within seven to 14 days, rather than the 30-day or longer payment schedules many institutions use. That small detail can be critical for farmers. Can (and Should) Regional Hubs Go National? About three years ago, Common Market felt comfortable with the model it had developed for its Mid-Atlantic operation, which focused on getting food into underserved communities. “So we began thinking about what replicating to another region could look like,” Johnston said. The team chose Atlanta and Houston because the cities have important characteristics in common with Philadelphia, like high rates of diet-related diseases and lots of large institutions. They’ve leveraged their relationships with food-service corporations, like Sodexo in Atlanta, and will do the same as they get Houston off the ground. 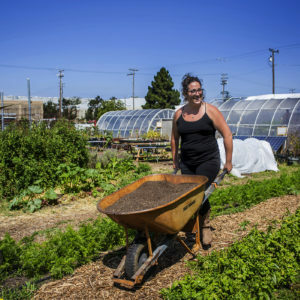 There are plenty of moving parts that must come together to make a food hub work, says Amanda Oborne, vice president of food and farms at Ecotrust, which opened its own food hub in Portland in 2016. Given Common Market’s success in the Mid-Atlantic, Oborne says replicating the “hard infrastructure”—like warehousing and storage and distribution—is definitely doable. It’s what she calls the “pixie dust” necessary to make “local food make sense” that will be trickier. “There’s this very human, very magical element of producers and community coming together that can’t be replicated. It’s gotta grow up from that place,” Oborne said. Oborne says smaller food hubs could learn from Common Market’s success in Philadelphia as well as Atlanta. And while some hub operators could be concerned about an outside player entering the market and pushing out smaller food hubs that have grown up from within the community, USDA’s Barham says Common Market has been strategic about setting up shop where food hubs are sparse and needed, not already operating. In the end, scaling and replicating the Common Market model will really come down to how the company approaches each new region, as they work through what local food on a national scale means and the impact it could have—something that requires a lot more work than simple replication if it’s going to be successful. “It’s not a McDonald’s; it’s not a turn-key thing,” Barham said. I really appreciate this newsletter. It's good to know what's coming & what's happening in the company!